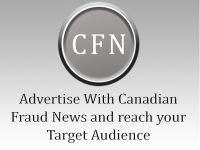 March 13,2018 (Courtesy of Citynews.ca) – Halton regional police have issued a public warning about a so-called ‘romance scam’ after a woman came forward saying she was bilked out of more than $1.2 million. Police say the suspect could be anywhere in the world and they’re urging anyone who may have been victimized to come forward. “Even the most experienced people can be manipulated by these professionals,” Halton police said in a release. Police say the scam usually unfolds slowly, and starts with a casual connection online, often through dating websites. The scammer says they can’t meet the person due to travel, overseas business, or military deployment, but they eventually ask for a small sum of money to help with a lost passport or failing business deal. As the online relationship progresses, the perpetrator asks for more money, sometimes with promises of return profits from investments. Those ‘investments’ never come through. Never send money to someone you have never met. Legitimate businesses and business associates do not need to secure financing from random strangers. Check your facts, and do your research. Often, the fraudsters will introduce a lawyer, in the hopes it brings legitimacy to a financial transaction. Use the internet to verify that people and businesses actually exist. If in doubt, seek some help. A sober second look at a situation from a trusted outsider who has not been manipulated by a potential fraudster can provide clarity and make the difference.